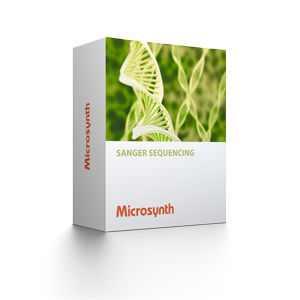 Best-in-Class Sanger sequencing service in 1.5 ml tubes for routine but also most difficult-to-sequence PCR products and plasmids. The Economy Run is identical to Microsynth's Barcode Economy Run except for payment modality. This non-prepaid service is especially attractive for customers with lower sequencing demand who do not want to invest in prepaid barcode labels. Direct access to support by experienced academic staff (no phone hotline). 1 Complementary services can be chosen while placing a sequencing order in our online shop. You will receive an invoice covering the costs that are not included in the price for the prepaid barcode labels. 2 We recommended choosing this option only in case you have difficult-to-sequence samples that would not be successfully sequenced with our cost-free sequencing protocols (default standard protocol and GC-rich Treatment). 1 Sample stickers are blue barcoded labels that can be used for clear and convenient labeling of your sample tubes. If registered within our online shop, they facilitate the sample tracking of your samples. In case you want to use hand-written labels, please make sure that they are clearly readable; otherwise the sequencing process will be delayed. User guide on how to use our Economy Run.